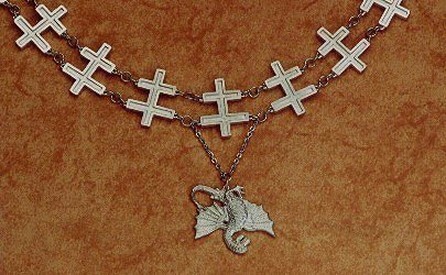 The Order of the Defeated Dragon (Latin: Societas Draconistarum, lit. 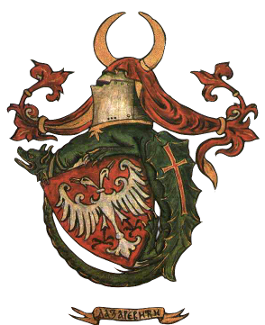 "Society of the Dragonists") was a monarchical chivalric order for selected nobility, founded in 1418 by Sigismund, King of Hungary (r. 1387–1437) and later Holy Roman Emperor (r. 1433–1437). It was fashioned after the military orders of the Crusades, requiring its initiates to defend the cross and fight the enemies of Christianity, in particular the Ottoman Turks. The Order flourished during the first half of the 15th century, primarily in Germany and Italy. After Sigismund's death in 1437, its importance declined in Western Europe, but after the Fall of Constantinople in 1453, it continued to play a role in Hungary and Croatia, which bore the brunt of the Ottoman incursions. Sigismund faced fierce struggles for power leading up to the foundation of the order in 1418. In 1387, the Bohemian royal son Sigismund of Luxembourg was elected King of Hungary and Croatia, a title which he owed chiefly to his marriage to Queen Mary of Hungary in 1385, without her consent. During the next decade, he constantly sought support or employed ruthless methods to strengthen his unsteady hold on the throne. His rule was weakened in 1395 when Mary, who was pregnant, died in a horse riding accident. 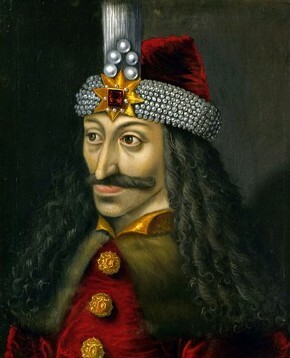 In 1389, the Ottoman Sultan Murad I fought Lazar, Prince of Serbia at the Battle of Kosovo Polje, in which both leaders died, leading to an uncertain outcome of the battle. Two years later, the Turks had taken the Bulgarian fortress of Nicopolis. In 1396, Pope Boniface IX proclaimed a crusade against the Ottomans, and a campaign was organised to recapture the fortress and put a halt to the Ottoman expansion. Sigismund was nominally in charge; however, in the 1396 Battle of Nicopolis the French leader, John of Nevers, commanded the French half of the forces and ignored Sigismund's entreaties by charging the Turks. About 15,000 crusaders died with only a few leaders, including Sigismund, escaping. 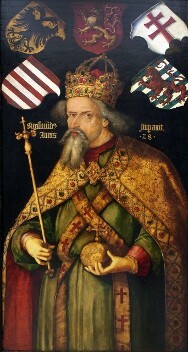 Sigismund returned to Hungary in 1401 and, facing a number of revolts, gradually resumed control and re-asserted himself as the King of Hungary. This was achieved by allying himself with the political party of Stibor of Stiboricz, Nicholas II Garay, and Hermann II of Celje, in return for their military support, which enabled him to fight off domestic rivals. Sigismund campaigned against the Croats and Bosnians, which culminated in 1408 with the Battle of Dobor—fought for the possession of Bosnia—and a massacre of noble families. His pact with Hermann II was secured in 1408, when Sigismund married Herman II's daughter Barbara of Celje (also called Cilli). 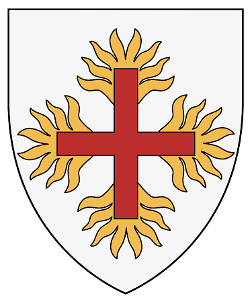 On December 12, 1408, following the Battle of Dobor against the Christian heretics called Bogomils in which Sigismund slaughtered two hundred Bosnian noblemen, many of whom had fought the Turks, Sigismund and his queen, Barbara of Celje, founded the league known today as the Order of the Dragon. Its statutes, written in Latin, call it a society (societas) whose members carry the signum draconis (see below), but assign no name to it. Contemporary records, however, refer to the order by a variety of similar if unofficial names, such as Gesellschaft mit dem Trakchen, Divisa seu Societas Draconica, Societas Draconica seu Draconistarum, and Fraternitas Draconum. It was to some extent modelled after the earlier Hungarian monarchical order, the Order of St. George (Societas militae Sancti Georgii), founded by King Carol Robert of Anjou in 1318. The order adopted St. George as its patron saint, whose legendary defeat of a dragon was used as a symbol for the military and religious ethos of the order. Described in general terms, the "enemy" was any anti-Christian political power or group, including schismatic or actively heretical fellow countrymen or Europeans (such as the putatively "Christian" Bosnian Bogomil force alluded to above, immediately before the Order's foundation); but the primary representatives of "the perfidious Enemy" remained the Ottoman Turks, who continued to be a problem for Sigismund's successors. The Order's outward focus on foreign threats was also aimed at achieving a level of domestic cohesion. The statutes go on to describe the order's symbols of the ouroboros and the red cross, which were worn by its members and gave the order its corporate identity (see below). They also list the mutual obligations of the king and his nobles. The members were to swear loyalty to the king, queen, and their future sons and to protect the royal interests. Boulton argues that "the Society of the Dragon was clearly intended to serve as the institutional embodiment of the royal faction its founder had created". In return for their services, the nobles could expect to enjoy royal protection, honors, and offices. The creation of the order was an instance within a larger fashion of founding chivalric orders during the 14th and early 15th centuries, not infrequently dedicated to organizing "crusades", especially after the disaster of the battle of Nicopolis (1396). 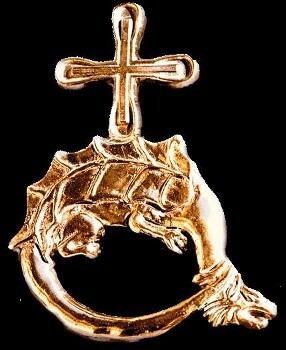 Sigismund's order was particularly inspired from the Order of Saint George of 1326. Another influential model may have been the Sicilian Order of the Ship, founded in 1381. 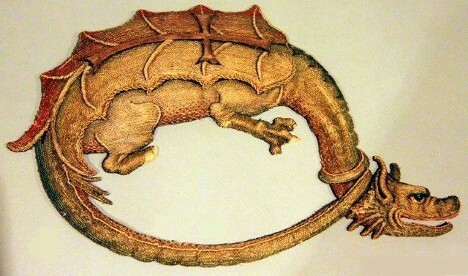 The dragon described here, with its tail coiled around its neck, bears comparison to the ouroboros. On the back of the dragon, from the base of the neck to the tail, is the Red Cross of Saint George, with the entire image on an argent field. The Order's dragon emblem has not survived in any original form, but it has been referenced on coins, art, and in writing. A University of Bucharest annotation to the original edict reads "O Quam Misericors est Deus, Pius et Justus" (O how merciful is God, faithful and just), which may have been officially part of the emblem. 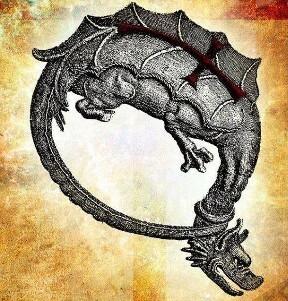 The various classes of the order had a slight variation of the dragon symbol. Common changes included the addition of inscriptions like O Quam Misericors est Deus ("Oh, how merciful God is") and "Justus et Paciens" ("Just and patient"). One of the highest classes may have worn a necklace with a seal, while a period painting of Oswald von Wolkenstein depicts another type of class variation. Few historical artifacts of the Order now remain. A copy, dating to 1707, of the statutes of 1418 is the oldest known literary artifact of the society. Today, known materials are archived within the University of Budapest. Members of the order, known as "Draconists", are referred to in the statutes as barons (barones, occasionally socii). They were mostly Sigismund's political allies and supporters, who were at first largely confined to the political factions of Stefan Lazar IV, Nicholas II Garay, and Hermann II of Celje, including such magnates as Stibor of Stiboricz and Pipo of Ozora. The initial group of inductees for Sigismund's Order numbered 21 men, which extended to about 24 in 1418. After some time, Sigismund chose to expand the ranks of the Order. A second group of inductees was initiated between 1431 and 1437. As membership grew, the Order of the Dragon came to have two degrees. 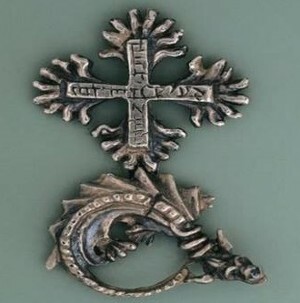 There was a superior class, which between 1408 and 1418 wore both the dragon and the cross as the Order's emblem and a more elaborate version afterwards. The second degree had a large number of members, and its symbol was only the dragon. Following Sigismund's death in 1437, the Order lost prominence. 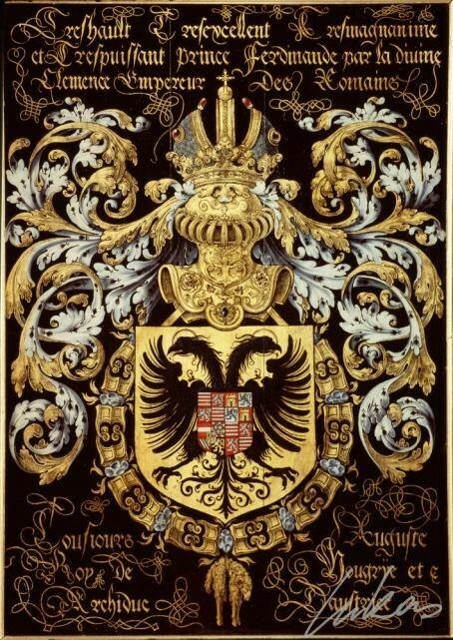 However, the prestigious emblem of the Order was retained on the coat of arms of several Hungarian noble families, including Báthory, Bocskai, Bethlen, Szathmáry, Benyovszky, Kende and Rákóczi. 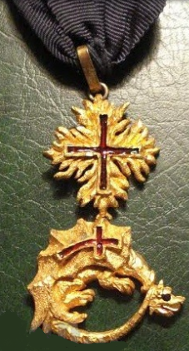 The present status of the Order of the Dragon, is that of a Holy Chivalric Order of the Holy Roman Empire, as such all Rights, Patrimony and Property (including the usage of all Armorial Bearings, Signs and Symbols), of the Order of the Dragon come under the exclusive ownership and protection of the Holy Roman Empire Association - ASSOCIAZIONI dei NOBILI del SACRO ROMANO IMPERO. The Present Nominal Grand Master of the Order of the Dragon is the Chancellor of the Holy Roman Empire Association. Copyright (C) The Holy Roman Empire Association, hold full International Copyright to the Order of the Dragon. Copyright Held 1418-2016 - All Rights Reserved Protected by European, U.S. and International Copyright Laws. Vuk Lazarevi, brother of Despot Stefan Lazarevi, received the title from Sigismund. Fruzhin, son of Tsar Ivan Shishman of Bulgaria. Benjamin de Benyó, Voivod of Liptov.